GunBroker has a shot show landing page that our social media pages link to. We will highlight the Springfield grand prize] on this page. Click to view. National – Week before SHOT Show: To prep attendees, we will run co-branded house ads on GunBroker.com Search results pages, and the forums (above the fold). GeoTargetSHOT Show Attendees During Show: To ensure we’re hitting attendees of the SHOT Show, we’ll run a similar house campaign during the week of SHOT. with a more urgent call to action and geo-target to people in Las Vegas so we’re sure this will reach SHOT Show attendees. Example message: SHOT Show starts one week from today! 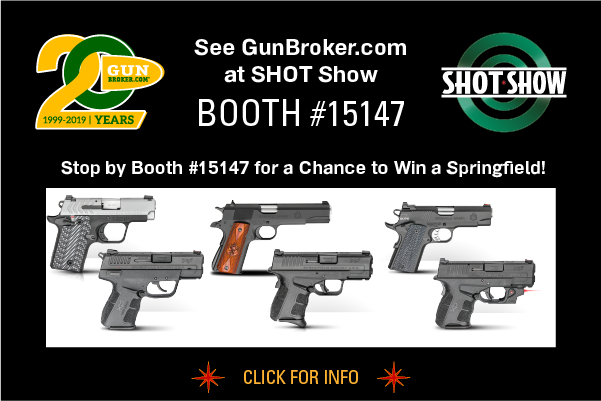 If you plan to attend, stop by the GunBroker.com booth #15147 for your chance to win one of six Springfield pistols. (tag @nssfSHOTShow, springfield armory) . Click here to see all messaging. In the booth: Slideshow loop that runs above the website monitors in the booth. 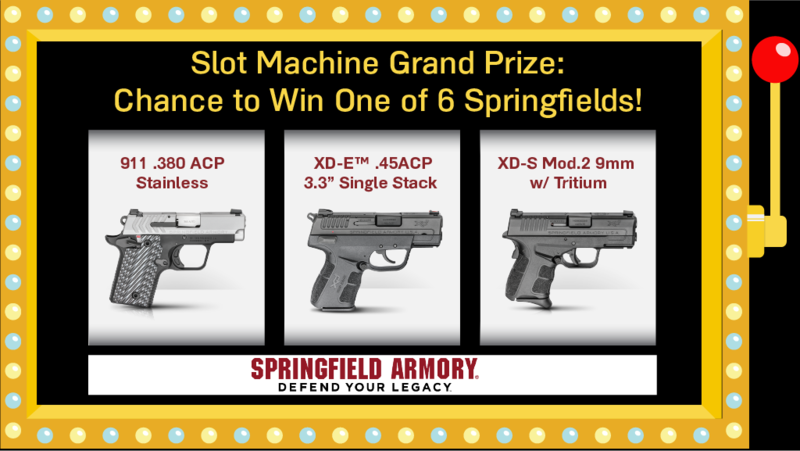 We can include a screen that highlights the Springfield Grand Prize**. Click to view program slides. Dedicated: One dedicated enewsletter about the giveaway will be sent to all active sellers who have sold a firearm within the last 24 months. This will be sent the week before SHOT Show. Creative will be the SHOT Show page formatted as an email. Article: Section in the GunBroker January weekly Saturday newsletter: preceding SHOT Show. 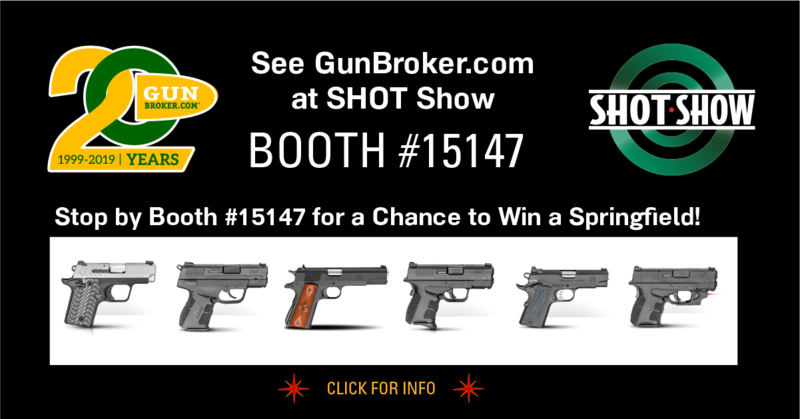 promoting GunBroker.com's SHOT show presence, highlighting the Grand Prize Springfields**. Visit GunBroker.com at SHOT Show, the world’s premier exposition of firearms, ammunition, law enforcement and related products, services. Site Demos Learn about topics that are important to your success with GunBroker.com. Ask to hear our presentations given by the GunBroker.com Team at Booth #15147. Learn More. 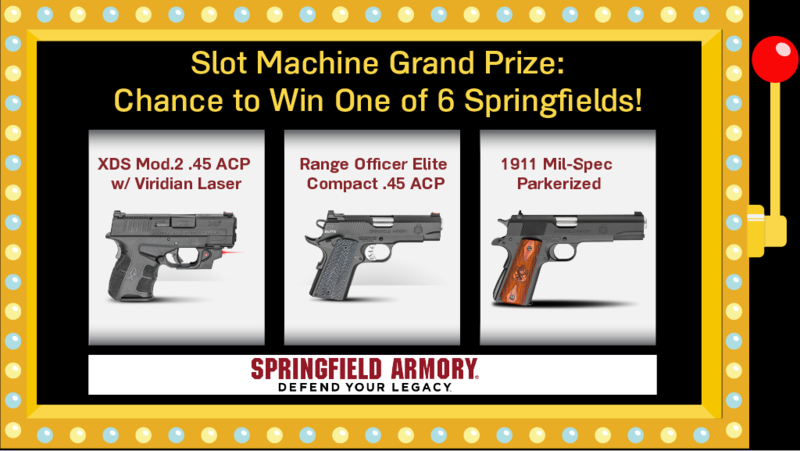 Chance to win a Springfield Pistol!! 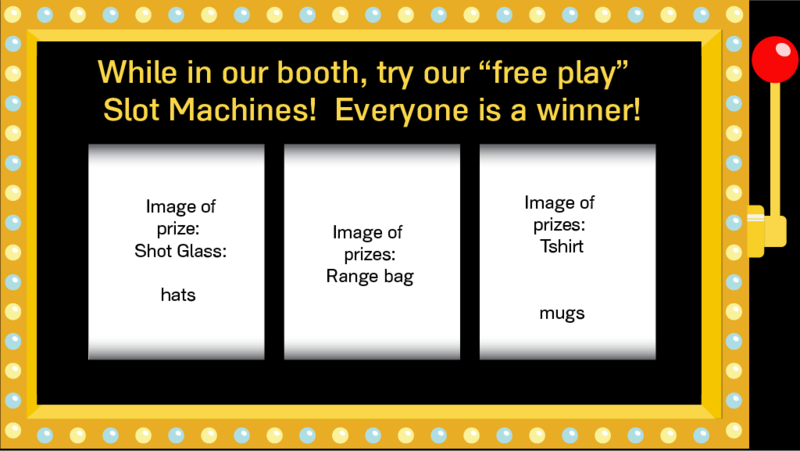 Stop by Booth #15147 to win a free prize playing our Free Play slot machine! In celebration of GunBroker.com’s 20th anniversary, we have collected a special lineup of prizes, including a jackpot Grand Prize of a Springfield Pistol. Each day, Tuesday thru Thursday, two lucky players will win a Springfield Pistol. Learn More. Springfield Gun List: Here are the 6 guns Springfield will be providing. Once winners have been selected and confirmed that they are eligible to receive the prize, GB will send their information along and Springfield will ship the guns to their preferred FFL.